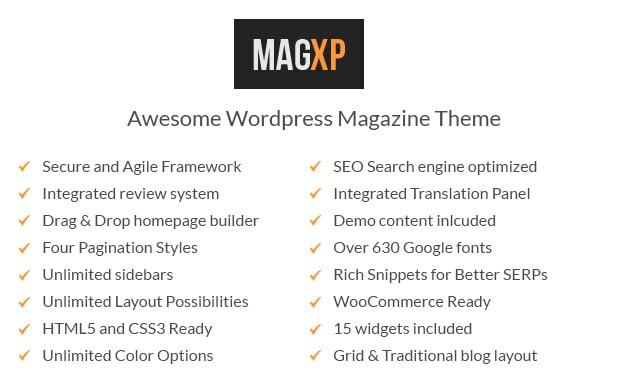 MagXP is the ultimate Magazine WordPress Theme. With 4 homepage layouts, and an options panel that lets you control the design, you can change the design from bright and clean to dark and minimal quickly. MagXP combines flexibility, form and function perfectly.